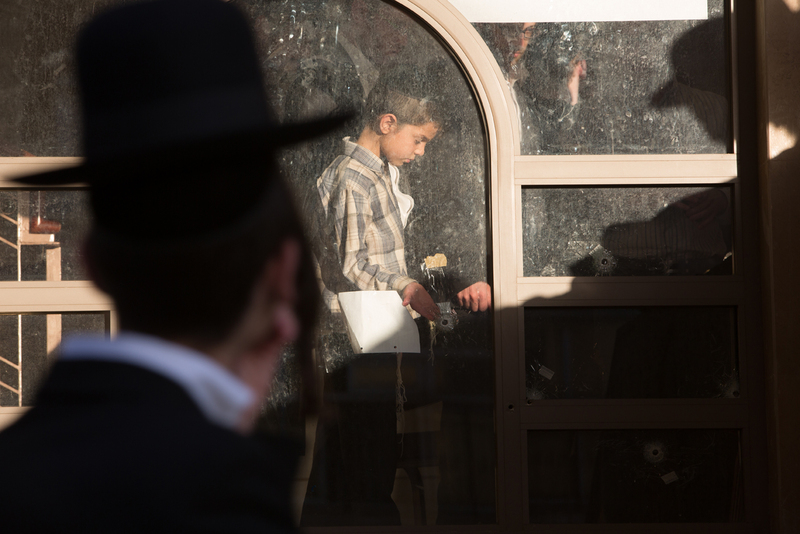 A kid touches bullet holes from the window of the Har Nof synagogue, Jerusalem, where five Israeli were brutally murdered on Monday, November 17, 2014 by Palestinian hands. 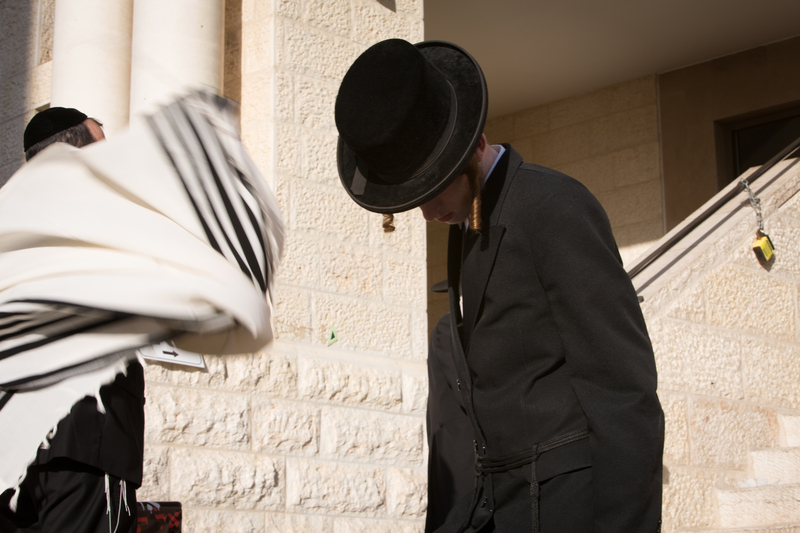 A religious man looks down at offers of tzedaka for the family who lost their loved ones. 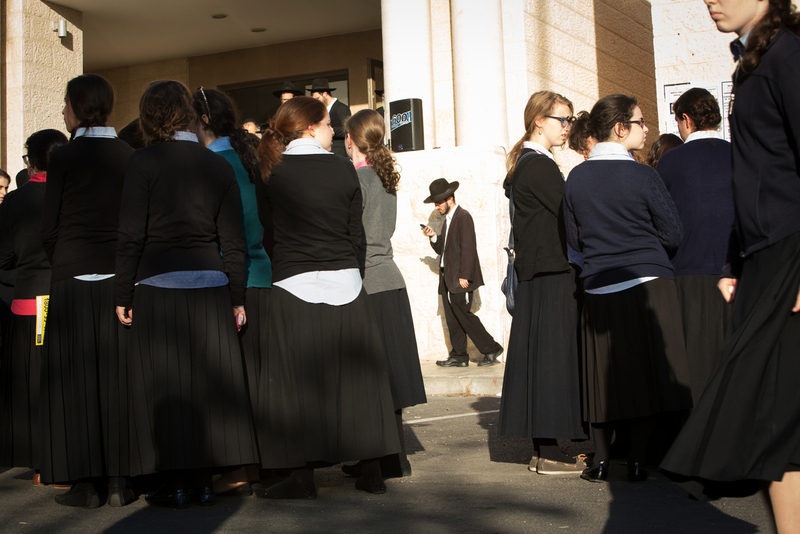 Girls await the main Rabbi, Rav Rubin to exit the Har Nof synagogue on Thursday afternoon. 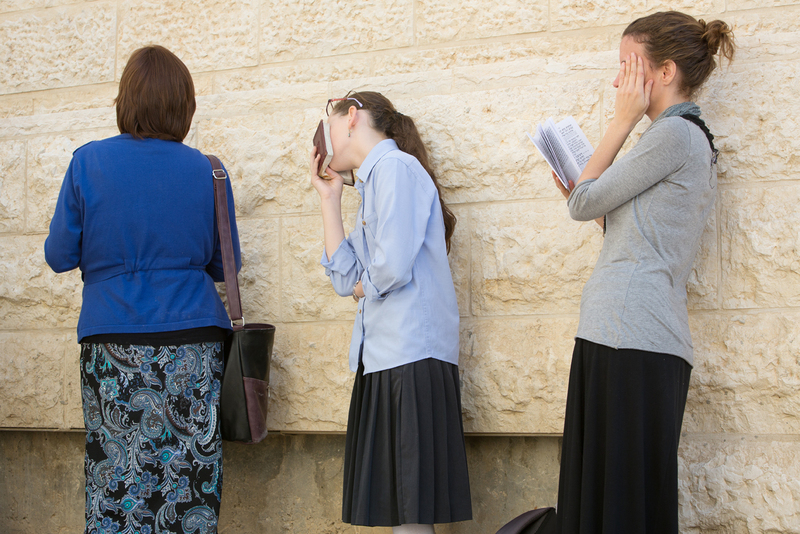 Women davening at the Har Nof synagogue during Mincha. 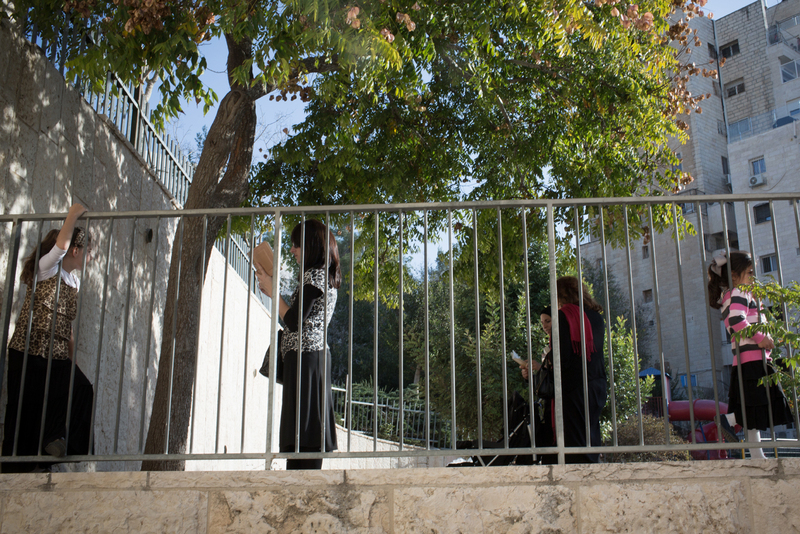 Women praying outside of the Har Nof synagogue on Thursday afternoon. 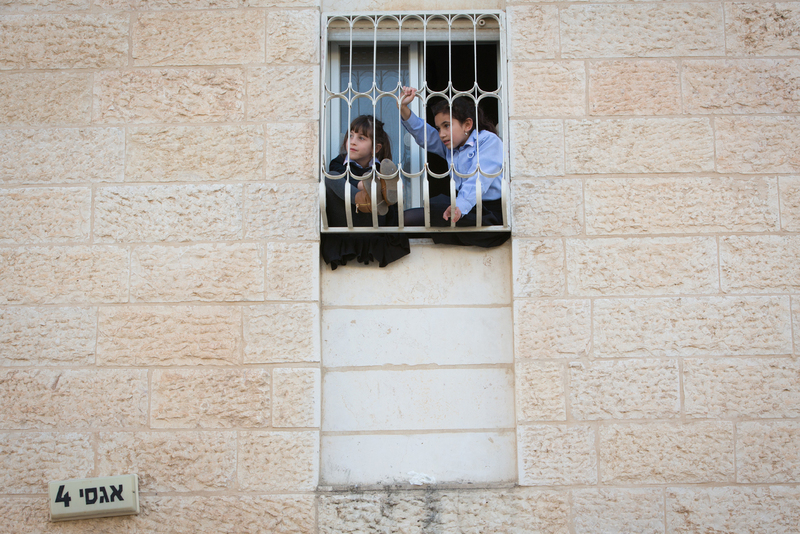 Two kids playing on a balcony of a house right in front of the Har Nof synagogue. “Life must go on,” community members shared their feelings. 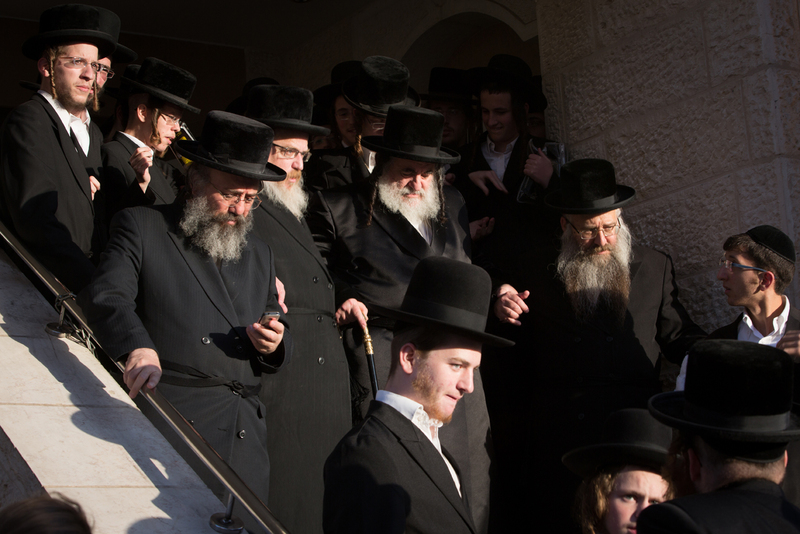 The Admor of Vizhnitz, Rav Israel Hager, came to share his condolences to the community of Har Nof that lost four of their members and one policeman to a terror attack by Palestinians. 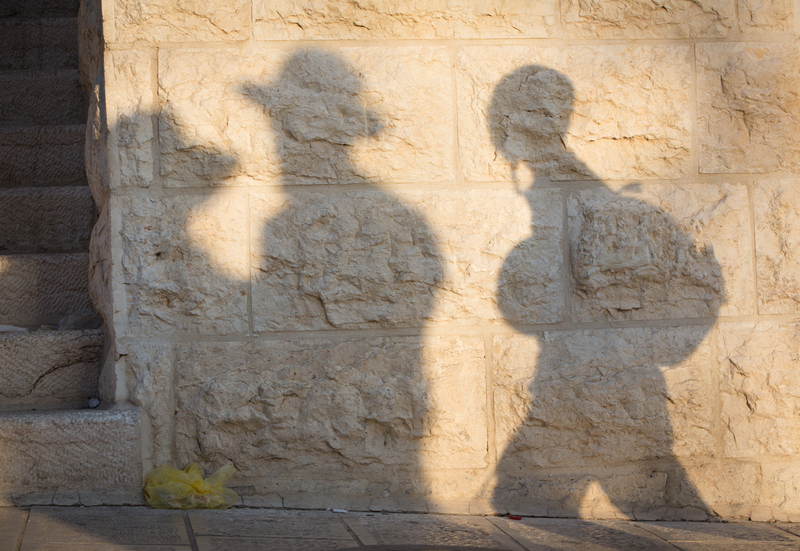 Shadows of Rabbis and kid at sunset in Har Nof.